100% Industrial Outdoor Grade for outdoor and indoor use. 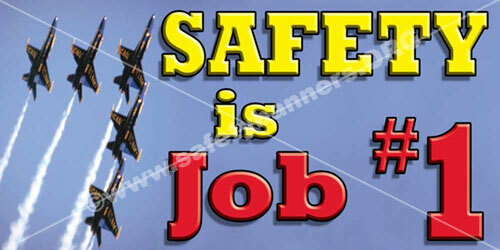 Our Safety Banners are used by over 11,000 Safety Professionals in industry and our Military world wide! 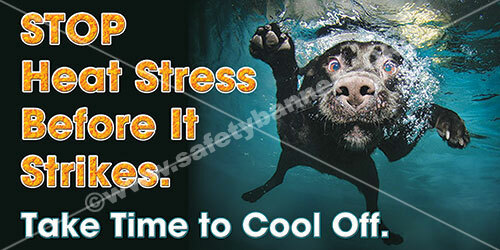 NO cheap 10 ounce plastic or vinyl material - EVER! We became the largest safety banner manufacturer in America by producing ONLY the highest quality products - PERIOD - with a 100% no questions asked money back satisfaction guarantee. Below are the descriptive pages for the three types of banners we manufacture. 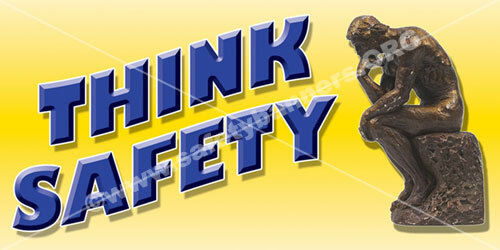 Our Recently Added Category, will have all the safety awareness images and safety banners we have added recently. 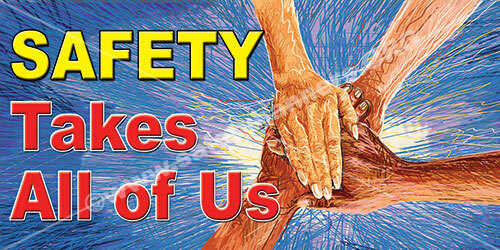 Industrial safety Banners for industry safety awareness programs are becoming recognized as the BEST way to increase safety awareness with both the employees and management. 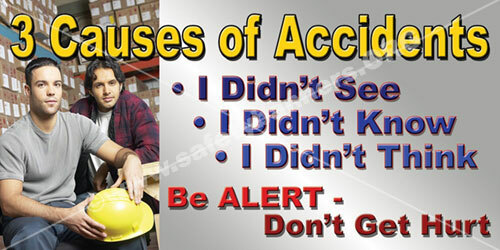 OSHA, and it's VPP program, recommend safety awareness promotion using banners. We are here to help. When you call, you will talk to real people and get real answers. Our founder always said, "We are really in the customer service business. 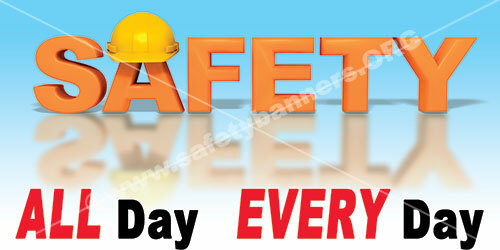 We just happen to also sell work place safety banners." 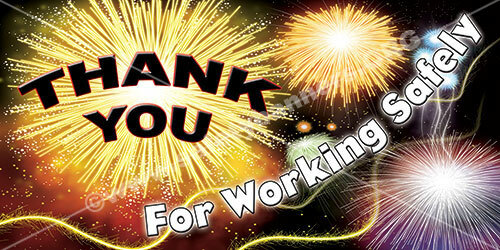 Thank you for your visit here and your time. We appreciate it. All our safety banners come with rust-proof tarnish-proof nickel plated grommets to make installation and hanging easy. The key to hanging any banner outside it hanging the banner TIGHT. Even calm areas of the U.S. occasionally get windy conditions. What destroys an outside banner (even the ultra heavy 19 oz. tent banner material) is the flapping vibration that happens during any windy time. 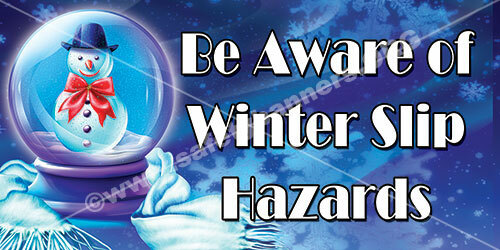 This flapping vibration will soon rip out ANY grommet on ANY banner. Once one grommet is ripped, even just a bit, it is not long before other grommets are ripped and the whole banner is destroyed. This can happen in just hours.